The sun shone brightly and the rain stayed away for our family Celebration Day. 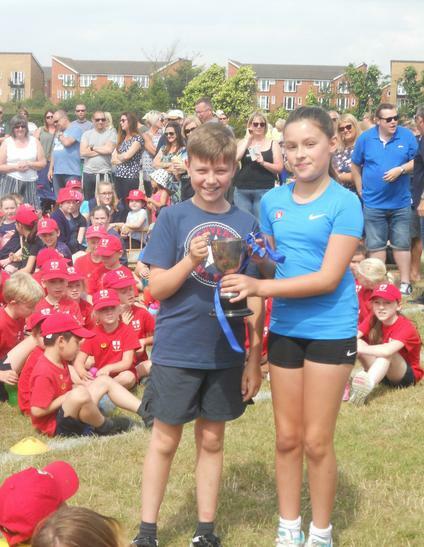 We started with Sports on the field and after everyone had run, jumped and skipped their hardest St Margaret Clitherow house (blue) won the cup. Following a look at the children's work and a picnic lunch in the school grounds the children showcased their musical achievements with a short concert. It was a wonderful day celebrating the year and it was lovely to have so many parents and family with us.